Dr Turner has been practising in Tiptree since 1994 and is a GP Appraiser. 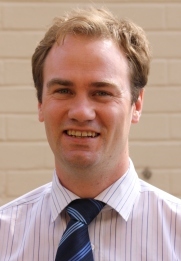 Mark joined the practice in August 2011 and became a partner on the 1st of April 2013. He qualified from St Bartholomew's and the Royal London School of Medicine in 2006 and completed his GP training in Chelmsford. His clinical interests include mental health and diabetes and he is actively involved in healthcare commissioning. Mark's personal interests comprise travel and walking his friendly English Springer Spaniel, Izzy and If anybody can teach him how to play golf properly, please drop in a note at the surgery. Dr Eriksson joined in August 2017, his special interests are palliative care and internal medicine. sexual health and dermatology. He is the medical director for e-learning and accreditation at the Royal College of General Practitioners. Each of the nurses at Tiptree Medical has their own area of expertise. Diagnoses and manages minor illness. The midwife attends the surgery every week to look after our mums to be. If you have just found out you are pregnant please contact the hospital on 07554228297. They will take your medical history and let you know when you need to be seen by the midwife. For more information please contact us. For those patients who have been referred by the Doctors or Nurses for specialist foot care. Abdominal aortic aneurysm (AAA) screening is a way of detecting a dangerous swelling (aneurysm) of the aorta – the main blood vessel that runs from the heart, down through the abdomen to the rest of the body. The practices hosts screening sessions on an ad hoc basis dependent on need. We understand how hard it can be to stop smoking. We host a dedicated smoking advisor each week who can give you all the support you need to help you stop. Contact her via the practice or book an appointment via this site. Sharon Wolton and Karen Royce are the surgery's healthcare assistants and part of our clinical team. They can take your blood for analysis as well perform a variety of different tasks such as ECG, ear syringing and administer some vaccines. They are very keen to see you for a NHS health check which aims to identify patients at risk from heart disease. If you are between 40 and 74 years and do not suffer from a chronic illness please make an appointment to see them. We also offer Senior Health checks for patients aged 75 - 84 years old. Kelly joined the practice as a part–time Business and Finance manager in 2018. Vicky is our administrator ensures all patient records are maintained and updated. Lisa is our Reception Manager. She ensures the smooth running of reception on a daily basis. Her team will work with you to find the right appointment with the right clinician to meet your needs. This is our reception team: Lisa Moss, Sheila Kent, Sarah Clark, Laura Small, and three further receptionists. They ensure a friendly and competent welcome when you make contact with the surgery. Simone and Liesja are our secretaries. They help us liaise with hospitals and other care providers. Simone our secretary provides a comprehensive secretarial service to the practice, processes patient letters and communicates and liaises with various healthcare professionals and outside agencies to maintain safe patient pathways. Simone works closely with the GP's and admin team to ensure the smooth running of the practice. Liesja our secretary provides comprehensive secretarial services to the practice, processes patient letters and communicates with various healthcare professionals and outside agencies to maintain safe patient pathways.